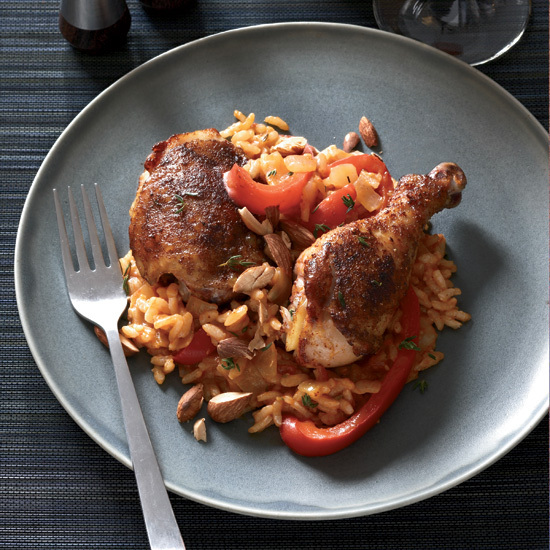 These terrific pairings include chicken and cheese enchiladas verdes and a spicy, dark-fruited Argentinean Malbec. 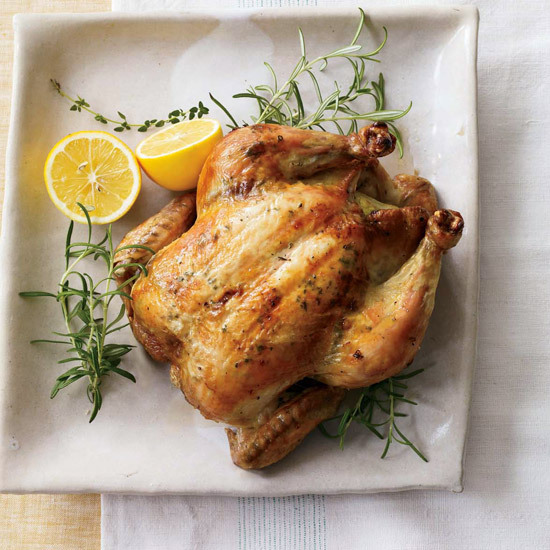 This roast chicken is foolproof and fantastic. 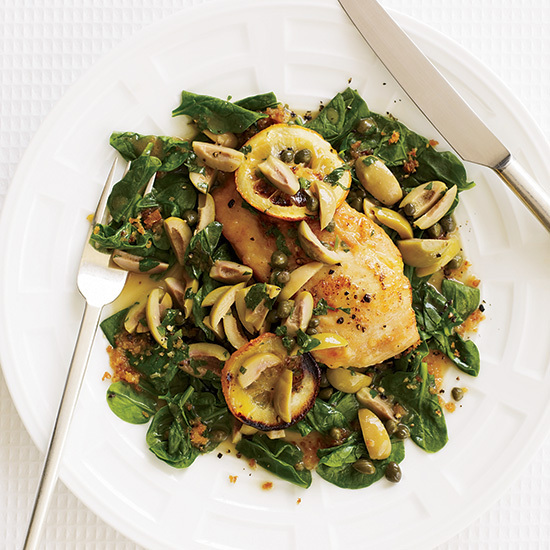 Plus, it's versatile enough for a weeknight dinner or weekend dinner party. 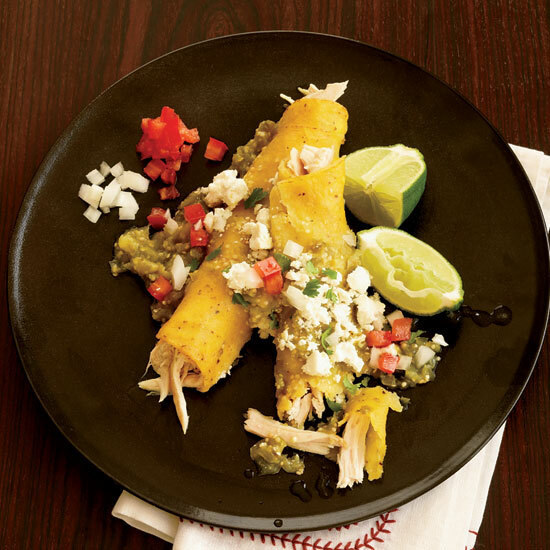 Marie Hejl made these easy enchiladas with a Spanish-speaking friend on a bilingual episode of her show, and she occasionally prepares them with her dad, Jim Hejl. Following her Mexican grandmother's recipe, Marie first dips the tortillas in a fresh tomatillo sauce, then fries them in oil. 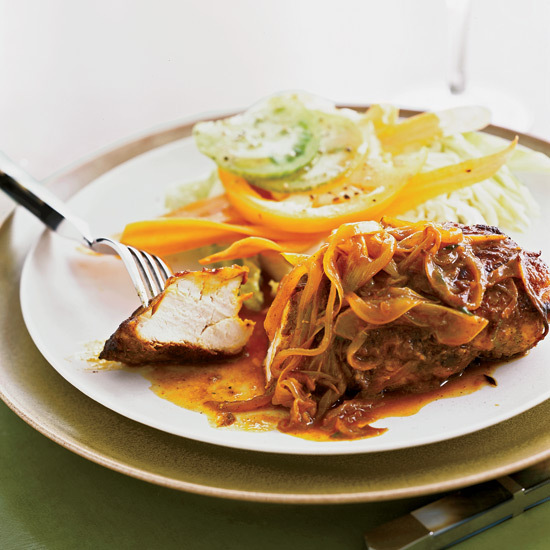 Here, to avoid excessive spattering, the tortillas are first fried in oil and then coated with the tomatillo sauce. 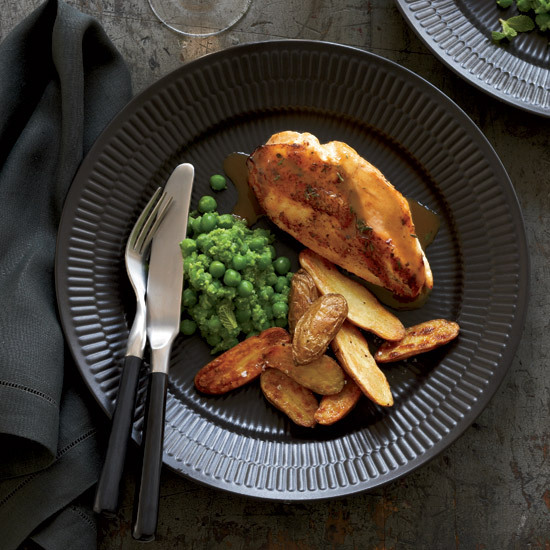 Marcia Kiesel browns chicken breasts in butter on the stove before roasting them in the oven; the butter enriches both the chicken and browned pan juices, which become a base for the flavorful sauce. 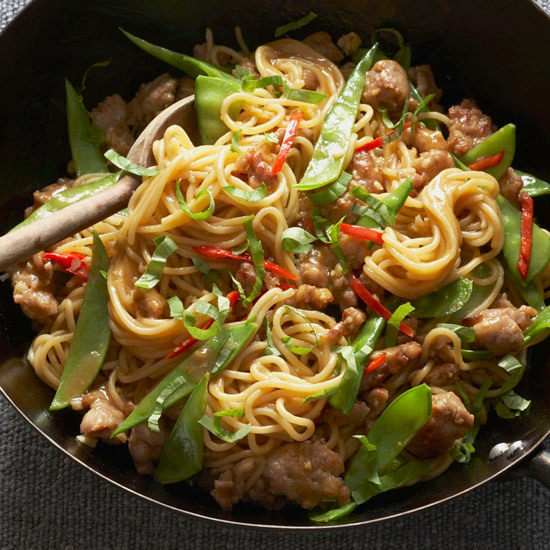 As a delicious accompaniment, she mashes minty green peas and mixes them in with whole ones. 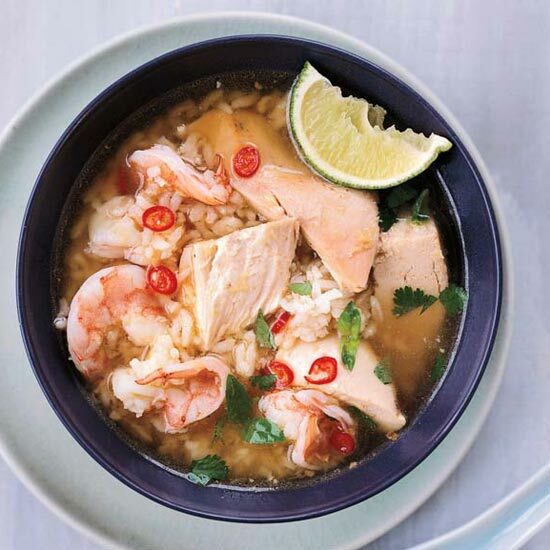 For this spicy, soothing and restorative chicken-and-rice soup, Ratha Chau prepares his own delectable chicken stock and roasts a chicken, which is then cut into large pieces and added to it. There are many variations on pozole, a traditional hominy-based Mexican stew closely associated with the Pacific-coast state of Guerrero. 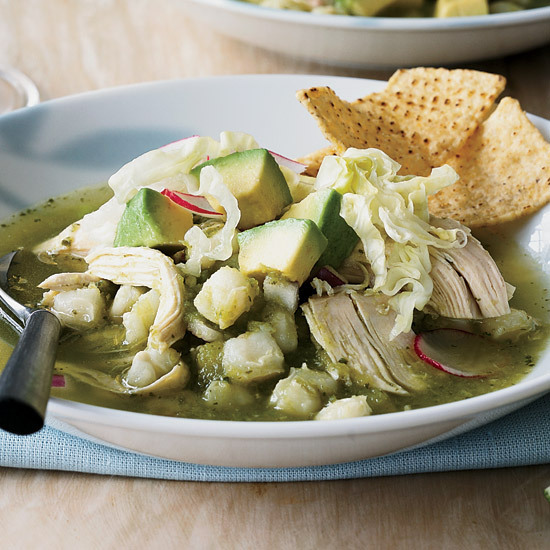 Anya von Bremzen's version, a green pozole, derives much of its flavor from tangy ingredients like tomatillos, cilantro and green chiles. 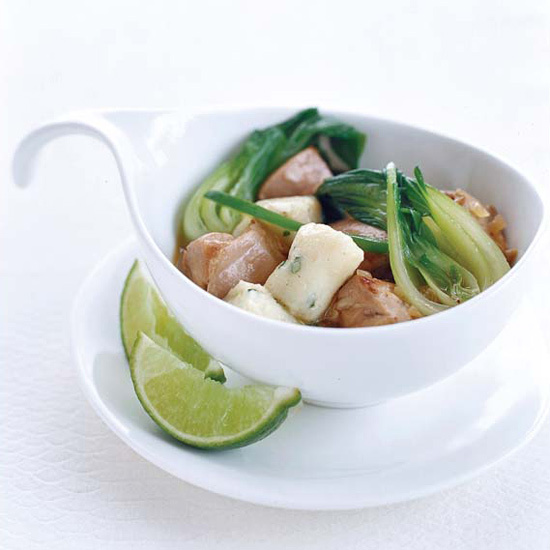 Baby bok choy, an easy-to-find Chinese green, replaces the gai lan, while regular chives substitute for the garlic chives.